Bonus! 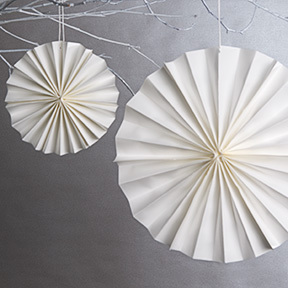 Paper Source has a downloadable PDF with instructions for making your own accordion folded paper rosettes. Check it out! Oh, these are so lovely! What great ideas, some I would have never thought of. Thanks for sharing!